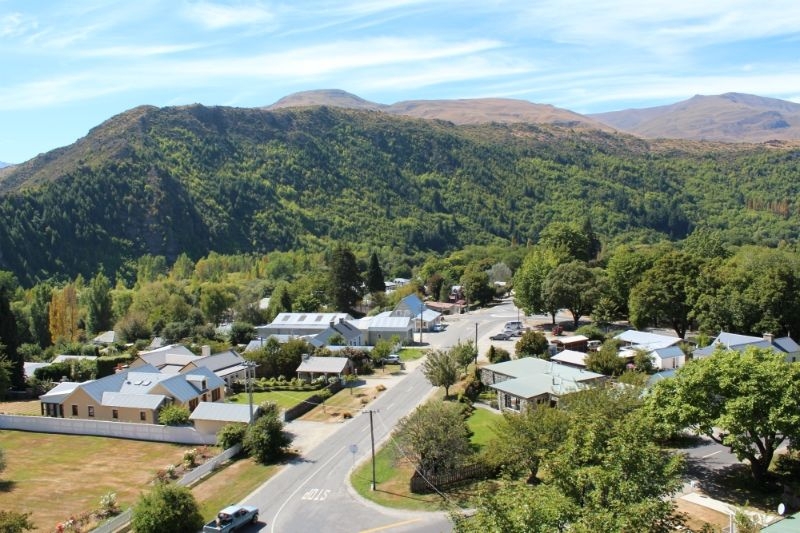 There's a short and steep pathway in the cemetery opposite that leads to a seat to enjoy impressive views of Arrowtown and the surrounding region. The Arrowtown War Memorial is located opposite the Arrowtown Cemetery on Durham Street, not far from the town centre. 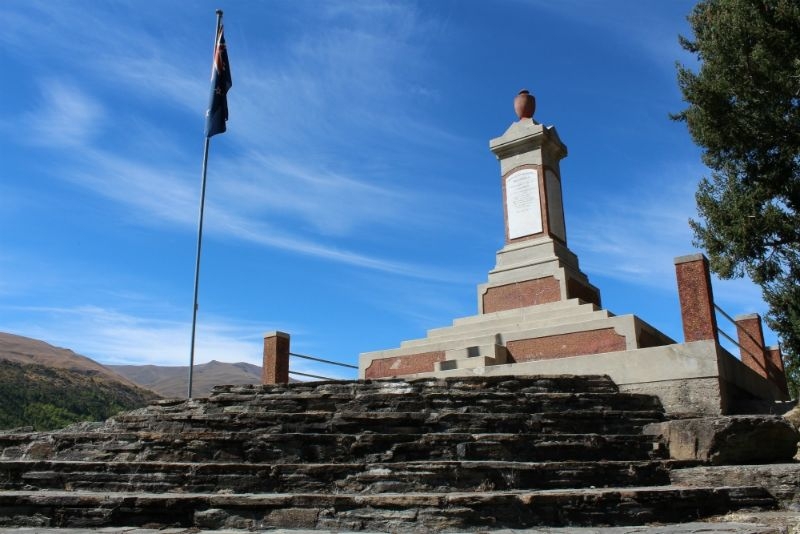 It's a short and steep walk to the war memorial monument that offers fantastic 360 panoramic views of Arrowtown. There are a number of free parking spaces available close by. 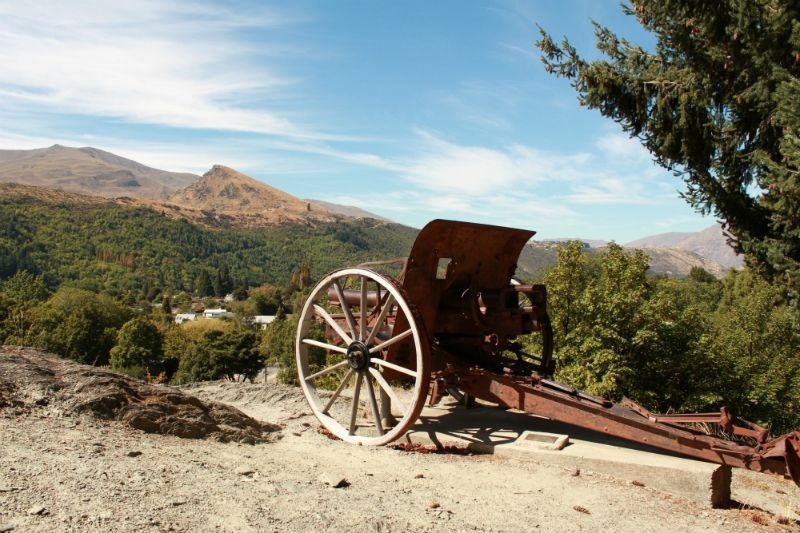 From the memorial, it's a short walk into the historic Arrowtown, rich in gold mining history and full of character. The town itself is lined with quaint buildings along Buckingham Street. The town is packed full of cafes, restaurants, quality retail shopping while still retaining the feel from its historic past. 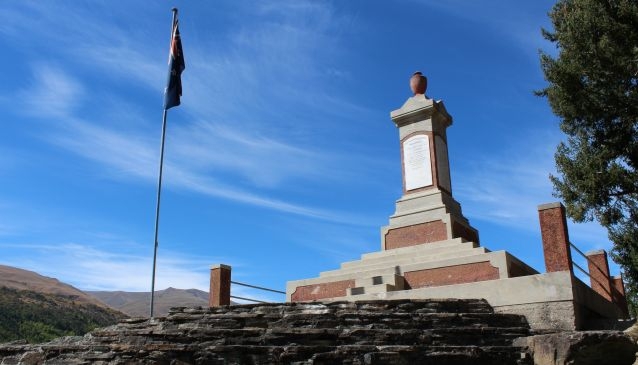 While in Arrowtown, it's well worth a visit to the Arrowtown Chinese Settlement, which recounts the fascinating history of the early chinese settlers who contributed to Arrowtown's fortunes.